It was a very fun Sunday at the Polaris Town Centre with a bespoke cooking demonstration at the Polaris Town Centre. 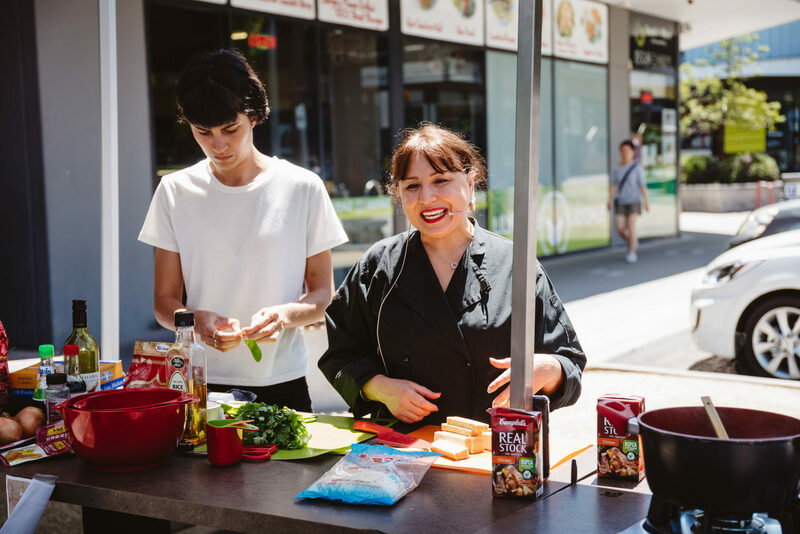 The cooking demonstration in the Polaris town centre used ingredients from tenants Good & More Asian Grocery and We Meat Again to create 3 bespoke recipes that taste delicious and are easy to cook at home. This event was the first of a series of Spring Community Events at Polaris including Canine Capers, Cooking Demonstrations, Live Music, Lunar Cinema and more! Dealcorp are hosting these events to invite the local community, residents and potential purchasers to come along and see the fantastic lifestyle and amenities available at Polaris and the immediate local area. Polaris is the social heart of Melbourne’s inner north, shining a new light on connected urban living. A dynamic town centre surrounded by diverse residential architecture continues to evolve, combining contemporary and heritage designs and sustainable, connected living. Throughout Spring there will be a series of fun events for you to attend. Each event will shared on the Polaris Facebook Page with ticketed events managed on Eventbrite.